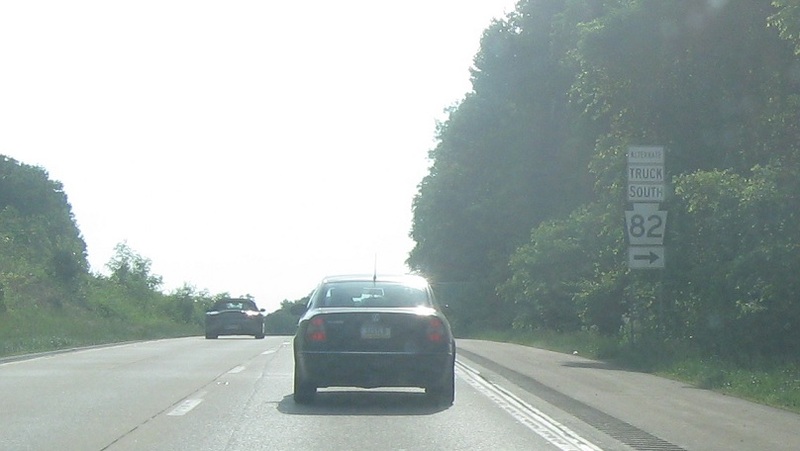 Shortly after PA 41, we’ll get advance notice for PA 82. 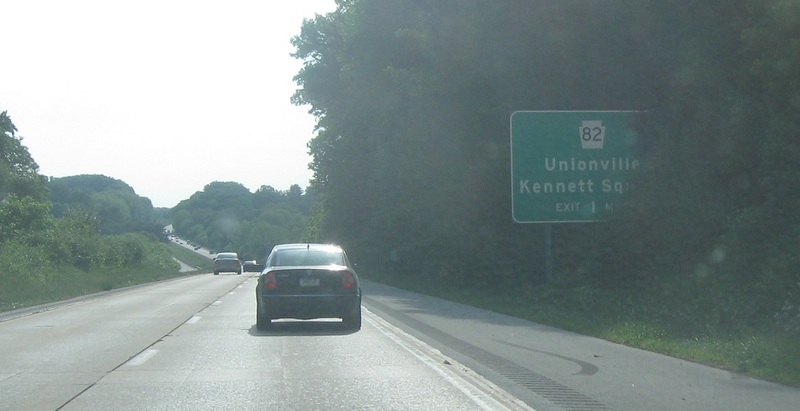 One mile to PA 82. 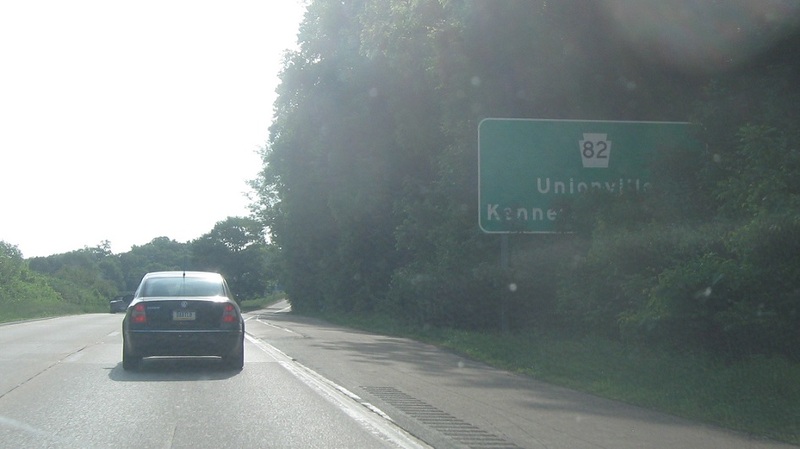 The truck alternate ends as it merges back onto mainline 82 at the exit. 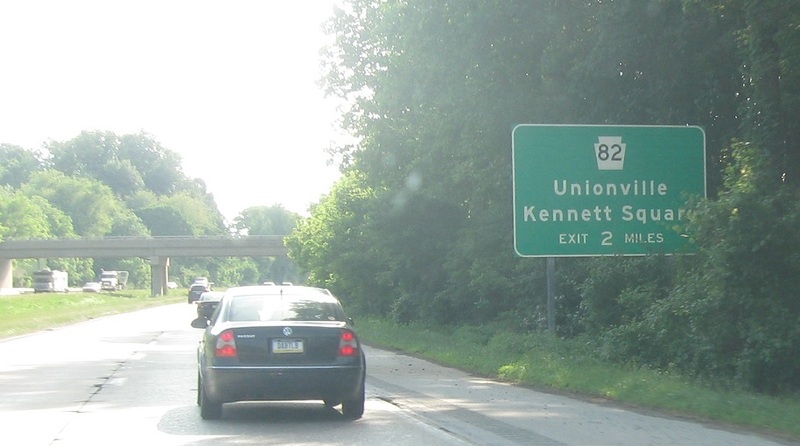 Exit for PA 82, which heads into the cool town of Kennett Square.